Warm Nordic first came to our attention as a contemporary Scandinavian design-house that does things a little differently. 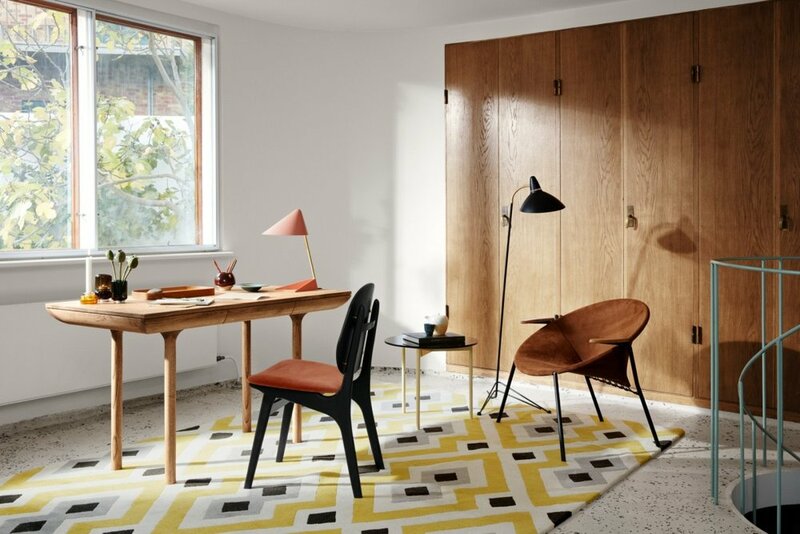 While the modern Scandinavian interior is known for its focus on minimalism and functionality, Warm Nordic injects a layer of vitality into this much-loved aesthetic. 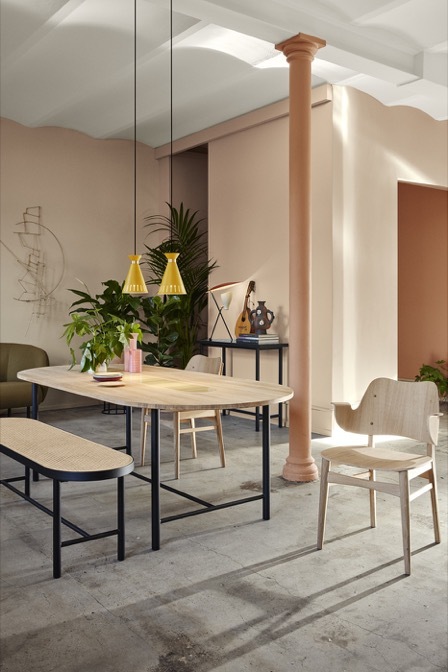 True to its name, Warm Nordic introduces a sense of warmth and energy to the stripped back designs we have become so accustomed to in modern Scandinavian design. While the brand maintains the sculptural forms celebrated in mid-century Nordic modernism; it is the muted colours applied to these forms which really makes the Warm Nordic furniture and designs pop. Comprised of both Classic and Contemporary Collections, Warm Nordic fuses iconic 20th Century Scandinavian furniture such as the highly memorable ‘Fried Egg’ chair by mid-century designer Hans Olsen alongside leading contemporary designers. The result is an exciting and eclectic mix of furniture, lighting and accessories. The inspiration behind these innovative designs can be traced back through a rich, historic legacy of Scandinavian modernism. From the embracing 'Haven' sofas designed by Charlotte Honcke to luxurious 'Daisy' stools by Sabine Stougaard, Warm Nordic has captured the essence of Scandinavian warmth when it comes to gatherings at home. Whether that be sitting around a fire or sharing a meal with family and friends, Warm Nordic celebrates this relaxed approach to living and provides endless possibilities of personalising their designs to fit the modern lifestyle. We are delighted to present Warm Nordic to a New Zealand audience and carry on the Scandinavian spirit not only through timeless designs, but through the welcoming principles of warmth and informality they were founded on. Visit our gallery in Ponsonby, Auckland for a curated selection of mid century Danish design furniture, contemporary Scandinavian lighting and accessories alongside New Nordic design icons.